This MONTHLY SPONSORSHIP program is vital to helping us provide the best possible care for the rescued horses, donkeys, cows, sheep, goats, chickens, ducks and geese at Free Spirit Sanctuary. 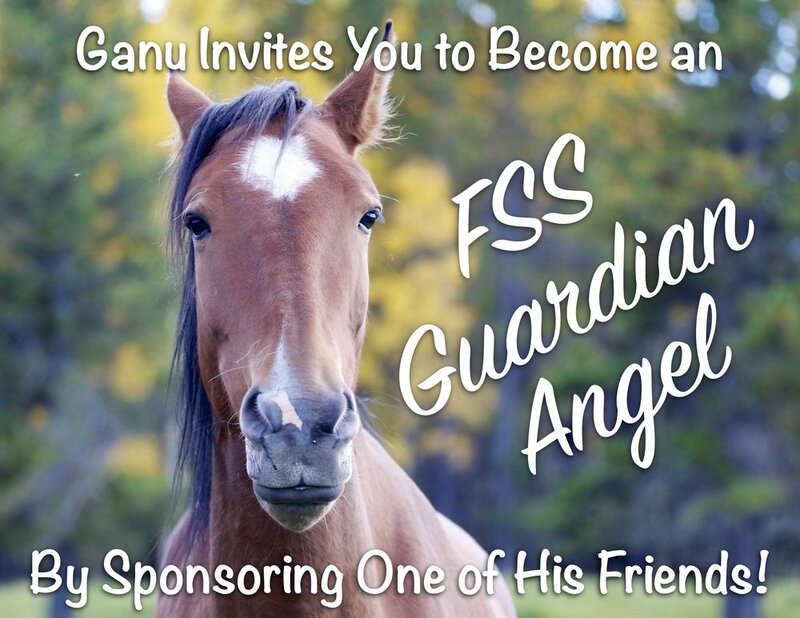 It is also an opportunity to make a special connection with one of the animals here and become part of the community of compassionate supporters helping us make this a better world for the animals. * FSS has been securely processing monthly sponsorships through Moonclerk since 2014. * Please note: Your monthly donations will continue until you request to be removed from the sponsorship program. Thank you. Note: Due to the disruption in postal services and in an effort to minimize our carbon footprint on the Earth, all sponsorship certificates will be sent by email this year.